Here is the source code for a HTML5 project that implements a machine learning algorithm in the Flappy Bird video game using neural networks and a genetic algorithm. 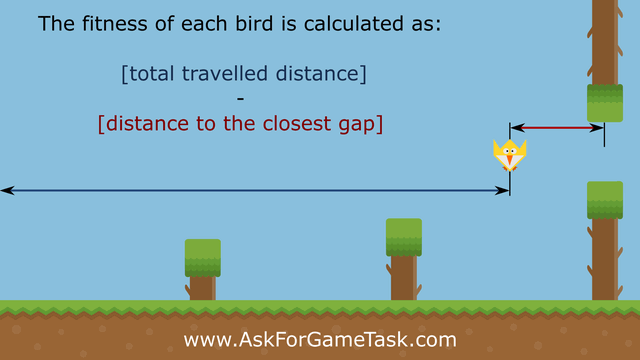 The program teaches a little bird how to flap optimally in order to fly safely through barriers as long as possible. All code is written in HTML5 using Phaser framework and Synaptic Neural Network library for neural network implementation. 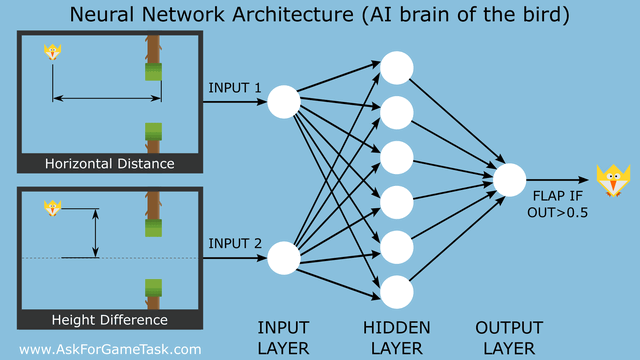 There is used Synaptic Neural Network library to implement entire artificial neural network instead of making a new one from the scratch. 5. to add some variations, apply random mutations on each offspring. TreeGroup Class, extended Phaser Group class to represent a moving barrier. This group contains a top and a bottom Tree sprite. 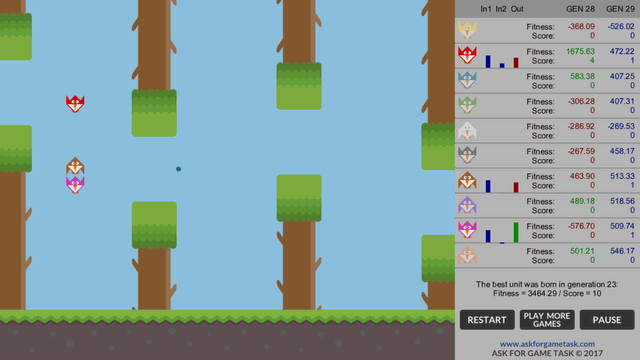 Tree Class, extended Phaser Sprite class to represent a Tree sprite. Bird Class, extended Phaser Sprite class to represent a Bird sprite. Text Class, extended Phaser BitmapText class used for drawing text.